The challenges in Fortnite Week 4 are still in full swing, with the deactivation of the ARK and shopping cart, some players can not yet complete the challenge. There comes the revelation to the challenges of the next week. What awaits you in the 5th week of Season 5 in Fortnite? 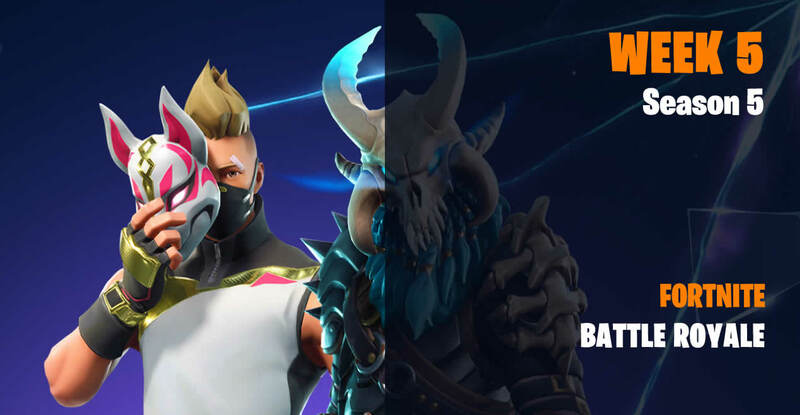 It seems to be a simple week, the Twitter account “Fortnite: Battle Royale Leaks” revealed all the challenges. Remember, even though the leaks tend to be in favor of the weekly Fortnite challenges, it may still be the case that the list deviates. You can not find all the holes? Here we show you all golf holes! Follow the Treasure Map Found in Snooby Shores<br>Here you finde the exact Battlestar location. Even in week 5, a secret battlestar is hidden, you just have to complete all the challenges. You then get a new cover picture with reference to the star. Here we have all the details!